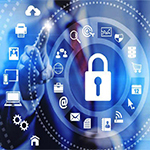 ID4Africa is committed to ensuring that your privacy is respected and protected. Should we ask you to provide certain information by which you can be identified when interacting with us, then you can be assured that it will only be used in accordance with this privacy statement. ID4Africa may change this policy from time to time by updating this page. You should check this page from time to time to ensure that you are happy with any changes. This policy is effective from May 25, 2018. If you have any questions, comments or concerns regarding our data protection practices or regarding any data pertaining to you held in the ID4Africa database, please contact our Data Protection Officer. Contact information including email address(es) and telephone numbers, location and physical address, passport details (if in case we’re requested to assist with your flight, visa or accommodation details to attend any of our events). Promote awareness regarding the importance of identity. Provide assistance for travel arrangements including flight bookings, visa application and hotel accommodation, to attend any of our events. Your data will be kept secure and private. Under no circumstances will your information be shared or transferred to any third-party individual or organization outside of ID4Africa, unless you provide us with prior explicit consent related to such circumstance should the need arise. We are committed to ensuring that your information is secure. In order to prevent unauthorized access or disclosure, we have put in place suitable physical, electronic and managerial procedures to safeguard and secure the information we collect online and from our registration processes. Our website may contain links to other websites of interest. However, once you have used these links to leave our site, you should note that we do not have any control over that other website. Therefore, ID4Africa will not be responsible for the protection and privacy of any information which you provide whilst visiting such sites, particularly if such sites are not governed by this privacy statement. You should exercise caution and look at the privacy statement applicable to the website in question. if you have previously agreed to us using your personal information for direct marketing purposes, you may change your mind at any time by writing to or emailing us at gdprconsent@id4africa.com. Under no circumstances will your information be shared or transferred to any third party outside of ID4Africa, unless you provide us with prior explicit consent related to such circumstance should the need arise. We will not sell, distribute or lease your personal information to any individual or third party company unless we have your permission, or are required by law to do so. Since we only hold the above mentioned information about you per our data minimization policy, there is no other type of personal information about you in our database. You can still receive written confirmation of what we hold, and how your data is used, by contacting our Data Protection Officer. Please note, there may be a small fee to process such requests. If you believe that any information we are holding on you is incorrect or incomplete, please contact our Data Protection Officer. We will promptly correct any information found to be incorrect. If at any point you would like to request that your information, or the contact details of the liaison person you have introduced is to be completely removed from our database, please contact our Data Protection Officer. We will promptly carry out your request and will provide one final communication to confirm that your request has been carried out. If you have any issues or concerns please contact our Data Protection Officer, Shauna Taylor at s.taylor@id4africa.com or +86 21 3120 0321 for further input. In January 2018, ID4Africa endorsed the Secure Identity Alliance (SIA) Code of Conduct which sets out the commitment of Secure Identity Alliance members to highest standards of ethics and excellence in the design and implementation of digital ID systems, the beating heart of Government eServices delivery, upon which sustainable social and economic inclusion is built. 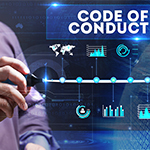 Click Here to read or download a copy of the SIA Code of Conduct. 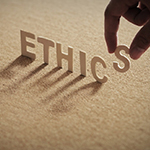 Please Click Here to download a copy of the ID4Africa Code of Ethics. 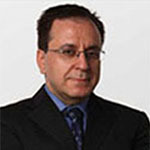 Dr. Joseph Atick, is the Founder and Chairman of Identity Counsel International (ICI), an advisory body providing guidance to governments and international development organizations on identity matters, and which is focused on helping the world adopt identity technology efficiently, responsibly and for the common good. In addition to his role at the ICI, Dr. Atick also serves as Chairman of ID4Africa which he co-founded in 2014. He is a recognized identification and biometrics industry pioneer and veteran, having been continually involved in the space since its inception, nearly 25 years ago, and through a series of companies that he co-founded and led from the early development phase through validation and commercialization and exit. 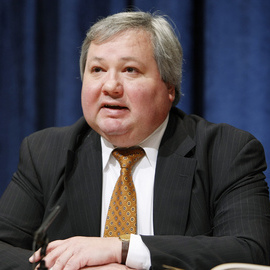 These include Visionics, Identix, and L-1 Identity Solutions and finally the Identity Counsel International, which he founded upon retirement from the industry in 2010 to dedicate his time to public policy matters related to identity. Today, the Identity Counsel is a partner of several international organizations including the World Bank and co-chairs several forums on identity worldwide. Dr. Atick is the co-founder and a Director Emeritus of the International Biometrics and Identification Association. He was the head of the Computational Neuroscience Laboratory at Rockefeller University and the Neural Cybernetics Group at the Institute for Advanced Study in Princeton, New Jersey. He is an author, thought leader and highly sought after speaker at international conferences and a frequent commentator in the media and testifies regularly in front of governmental committees and bodies worldwide. Veronica Ribeiro is Vice President, Operations of ID4Africa where she is responsible for managing the end-to-end operations involved with each event, including invitations and communication, event sponsorships, logistics and marketing. Previously Veronica served as Director of the Asia Pacific Smart Card Association (APSCA). With APSCA, she successfully managed over 180 smart card technology forums, workshops and conferences for segments covering national identity cards and documents, EMV, NFC, transport ticketing, e-Health and e-Payments. Through these events Veronica established strong relationships with government agencies in Asia, Europe and Africa, particularly those with responsibilities in electronic identity management and border control. With ID4Africa Veronica represents the organization as Vice President of Operations since its launch in 2014. Prior to APSCA, Veronica has 10 years’ experience in private banking, where she recruited and managed accounts for individual high net worth customers at international firms such as CitiBank, Chase Manhattan Bank and BNP. Following her private banking career she joined International SOS Hong Kong where she led the sales and marketing team in recruiting and working with institutional clients including insurance companies and banks. Greg Pote is Chairman of the Asia Pacific Smart Card Association (APSCA), the only regional industry association for secure smart chip technology applications in Asia, which he co-founded in 1997. Based in Shanghai, Greg travels throughout the region to promote smart card, contactless and NFC business and work with APSCA members to assist in developing their smart card businesses, initiatives and schemes. Greg has spoken at more than 160 industry conferences, forums and seminars covering smart card business and technology across 14 countries in Asia, the Gulf and Europe. Greg chaired the majority of these industry events, including moderating business and technology discussions with leading experts from governments, banks, transport operators, telecoms operators and technology companies. Greg was one of several subject matter experts requested to speak in the Hong Kong Legislative Council session to support the request for funding by the Hong Kong Immigration Department for the implementation of the first generation Hong Kong Smart Identity Card. He has also served as a jury member for both the Cartes Paris and Cartes in Asia SESAMES awards, as well as the NFC Forum & WIMA Global Competition and the PKI Innovation Awards. He has provided consultancy to APSCA members and advised both end-user organisations and suppliers on the technology roadmap and business strategies for identity and payments. 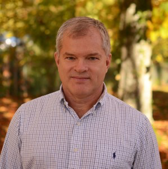 Greg has written industry reports and articles and is a well-known industry figure. In addition to his role at APSCA, Greg also serves as Chief Information Officer of ID4Africa which he co-founded in 2014. ID4Africa is honored to have internationally renowned individuals on its advisory board. These individuals represent organisations that have active interest in Africa and have shown their passion for supporting the socio-economic development of the continent through the responsible adoption of change drivers. For ID4Africa they provide guidance and vision to ensure that the forum is always relevant and impactful for the community it is designed to serve. 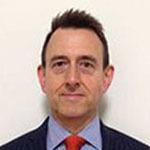 Robert Palacios is Global Thematic Group Leader for Pensions and Social Insurance in the Social Protection and Labor Practice of the World Bank. Between 1992-1994, he was a member of the research department team that produced the World Bank‘s influential volume on international pension systems, “Averting the Old Age Crisis: Policies to Protect the Old and Promote Growth”. Since 1995, he has divided his time between operational work and research with work in more than two dozen countries, most recently focusing on South Asia. His publications include articles and books on old age poverty, health insurance and a wide range of pension policy issues. His current areas of special interest include integration of policies across social sectors and use of technology to deliver and track social programs. He represents the SPL Global Practice on the recently constituted ID4D Working Group, a high level initiative aimed at developing the World Bank’s approach to identification and civil registration. Cornelius Williams is Associate Director and global Chief of Child Protection for UNICEF’s Programme Division. He has over 25 years of experience in managing child protection programmes in Western, Eastern and Southern Africa with UNICEF and Save the Children. As a child rights advocate he has been involved in advocacy that led to improved protection of children from sexual exploitation and abuse in humanitarian settings, reduced recruitment and use of children by armed forces and groups and increased access of children to identity documents/ birth certificate and social assistance and other services. Mr. Williams has played a leading role in coordinating UNICEF’s engagement with governments and other partners in the development of programmes for the prevention and response to violence against children in countries in Eastern and Southern Africa. He is a national of Sierra Leone and holds a Masters Degree in International Child Welfare from the University of East Anglia, United Kingdom. Andrew HOPKINS has over 30 years’ extensive experience in managing refugee programs globally. He has operated in a wide range of harsh and challenging environments that most governments or law enforcement agencies would not normally encounter. He has led global registration and identity management efforts which ensure refugee identities are anchored and maintained within a system of inclusivity. He has also deployed registration documentation and biometrics systems in field operations as part of the agency’s global population management efforts, and has designed and managed large-scale group resettlement projects particularly in Africa and in Asia. Mr. Srdjan Mrkić is a lawyer and a career statistician at national and international level for the past 30 years. As the Chief of Demographic Statistics in United Nations Statistics Division, he is discharging the responsibilities of the technical director of two international programmes – on population and housing censuses and on civil registration and vital statistics systems. Mr. Mrkić is leading the work on developing international standards for population and housing censuses, civil registration, vital statistics and identity management and is a member of the United Nations Legal Identity Expert Group, established to promote holistic approach to civil registration, vital statistics and identity management. Raj Mitra started his career by joining the Indian Statistical Service in 1981, a specialized civil service to manage statistical systems in the Central Government. During his initial service he managed field statistical activities including conducting population and housing census in one of the states in India. During 25 year of his service in the Government of India he held senior positions including Head of the Civil Registration Division and Head of the Census Division in the Office of the Registrar General and Census Commissioner. He also managed a pilot project on Multi-National National Identity Card. Prior to joining UNECA he was the Planning, Monitoring and Evaluation Specialist in UNICEF India. During his tenure in UNICEF he supported the Government of India in strengthening major data systems that produce data on child related indicators. He contributed significantly in revamping the CRVS system in India and also successfully conducting the 2001 Census in India. In UNECA, he is leading an Africa programme on Civil Registration and Vital Statistics and coordinating programmes on Population and Housing Census, Gender Statistics and Statistics on Development Indicators. Professor Rafael Capurro is an internationally renowned academic specialist in information ethics and was Professor of information management and information ethics at Stuttgart Media University in Germany from 1986 to 2009, when he entered emeritus status. Since then he has been Director of the Steinbeis-Hochschule Berlin Institute of Information Ethics, (2008-2013), and then a Member of the Advisory Board of the Institute for Digital Ethics at, Stuttgart Media University. Rafael has been the founder (or co-founder) of many highly regarded organizations including the Africa Network for Information Ethics (ANIE), International Center for Information Ethics (ICIE), International Society for Information Studies, Capurro Fiek Foundation and he is the Editor-in-Chief of the International Review of Information Ethics (IRIE).